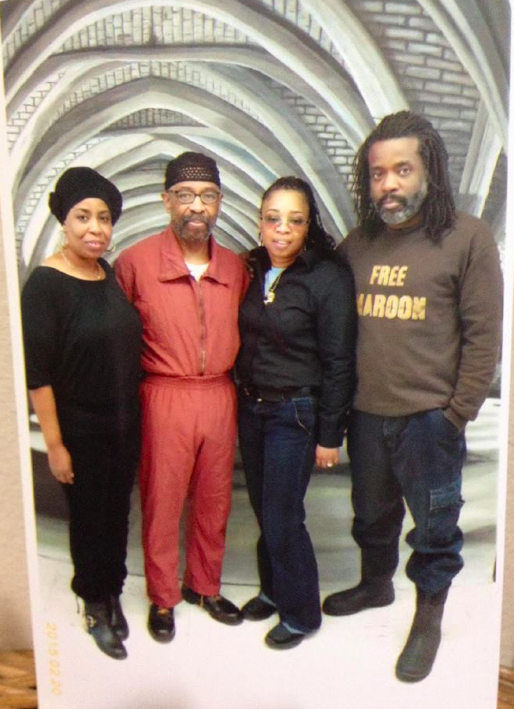 Donate – Free Russell Maroon Shoatz! It’s been a momentous last couple years in the long struggle to free our beloved father, uncle, grandfather, and comrade. Thanks to your persistent advocacy, Maroon’s case, and the political pretexts to his over forty years of confinement, have garnered widespread attention and sparked outrage from justice-seeking people across the globe. From street corners to sanctuaries, from college classrooms to government offices, Maroon’s unjust incarceration and fight to be freed have been discussed with greater frequency and urgency than ever before. Maroon has gained the support of five Nobel Peace Prize Laureates, among them Archbishop Desmond Tutu of South Africa, as well as that of the United Nations Special Rapporteur on Torture, Juan Mendez. His name has become synonymous with the horrors of political imprisonment in the U.S. and the unceasing struggle against it. In 2013, Maroon published a long-awaited collection of political essays, Maroon The Implacable, sharing his sophisticated analysis of oppression and resistance to a far wider audience than had previously been able to engage with his writing. That same year, Maroon brought suit against the state of Pennsylvania on the grounds that he had been subjected to cruel and unusual punishment in violation of his constitutional rights and that prison officials had deprived him of his procedural and substantive due process rights for keeping him in solitary confinement without meaningful review and on insufficient grounds. This legal battle, buttressed by the increasingly vocal backing of supporters worldwide, paved the way for his 2014 release into the general prison population at State Correctional Institution (SCI) Graterford, in Pennsylvania, after over 20 years spent in solitary confinement. This was a significant victory, and proved to us that an energized campaign for Maroon’s full and unconditional release from prison altogether was not only possible but necessary. In recent months, Maroon was diagnosed with prostate cancer, and until very recently, was being denied adequate medical care. An emergency phone and letter-writing campaign directed at the Pennsylvania Department of Corrections resulted in the onset of an aggressive course of cancer treatment, one that we continue to monitor closely. Again, the power of far-reaching support, and ongoing pressure on prison administrators, made a crucial difference. As we embark on a renewed fight to bring Maroon home, the time has come for us to reach out to you for financial support. The Shoatz family has been the primary funder of this campaign since Maroon was initially locked up in the early 1970s. In the simplest of terms, we don’t have the resources to continue being this struggle’s main financial engine. We have our sights set on a number of awareness-raising initiatives for the year ahead, among them a highly improved online presence that will enable coordination across local and international support campaigns., a feature film exploring Maroon’s activism and imprisonment, Maroon The Implacable reading/study groups across multiple cities, and speaking engagements in which family members and supporters will connect Maroon’s case to broader struggles against the prison industrial complex and the political use of torture in U.S. prisons. And while our legal battles with the Pennsylvania Department of Corrections continue, on an even more material level, we aim to regularly send Maroon basic necessities, from boots to books, so that he can remain both physically and mentally taken care of. Now more than ever, in order to realize our vision of Maroon’s freedom, and ensure his well-being in the interim, we need your support. Please consider making a contribution to this campaign. No amount is too little. Please also consider sharing this information with family members, friends, and colleagues who may be able to support. We offer you our deepest gratitude, and our hope to celebrate greater victories with you in the months and years to come.